Did anyone else know this week is Freelance Writer Appreciation Week? Does anyone know what we’re supposed to get? There’s a national holiday for just about everything (for example, today is Toothache Day), but I was surprised to learn that there isn’t just a day honoring freelance writers – there is an entire week! From a quick Internet search I made trying to find out how us freelancers should be honored, I learned there is not much out there. I found that somehow, other non-writers are supposed to take us out for a cup of coffee, buy us pens, or a new journal. The week is supposed to draw attention to how much content freelance writers are responsible for. The majority of what you read on the Internet is composed by freelance writers. When you visit your favorite band’s website and read about their new album, the website didn’t come pre-packaged with words in all the right places, a writer decided how to showcase the artist. There were probably revisions. Lots of them. Then another page is written, and so on. I have a feeling the people who are supposed to know about Freelance Writer Appreciation Week—our clients—are just as unaware. What are we supposed to do? Email them and tell them to appreciate us? Hmmm. Instead I decided to blog about why I appreciate being a freelance writer. I know, I know, it’s not really the point of the week, but my self-made career has allowed me to experience many different things and meet interesting people in publishing. It’s important to stop and express some gratitude. Helping businesses and writers. I know what it takes for entrepreneurs and business owners to start and stay successful. From running my writing business, I know how rewarding it is to see a business thrive. I love seeing my clients’ web traffic grow and their bounce rates go down. I love when a client tells me they got a new customer because someone came across a blog I wrote and just had to call them. I also love seeing writers’ careers start and flourish. Several people in my Raleigh writing group have been getting published more and more. The community of one. It’s a bit cliche when you hear people talking about the solitary life of a writer. Are they all alone in a garret with crumpled papers snowballed at their feet? Yes, writing is initially a product of one, but a lot of collaboration is involved with clients, authors, editors, and readers! There may be only a handful of days each year—if that!—where I am home alone with no interaction with another person. These days are usually spent alone for reasons outside of my control, like an ice storm or sickness. 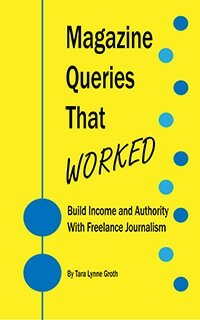 Even outside of business, being a freelance writer is not a solitary pursuit. The writing community here in Raleigh is huge and on any given night of the week there is some sort of literary event where socialization is aplenty. Time. I can work when I’m most productive. (Sometimes that’s 5AM, other times it’s 1AM.) My work days are my own making, so if I need to skip an open mic to finish a project in time for a deadline, I do. If I’m not feeling well, I lay in bed and write. If my dog is sick, I don’t need to wait for an appointment “after I get out of work.” I can rearrange my day and take care of what matters most. I travel a lot and I use the time waiting for a plane to write blogs, find new places for my clients to be featured, and send queries to magazines. There are many more things I appreciate, but what about you? What about being a writer, freelance or otherwise, are you grateful for? Celebrate with other freelancers in a Twitter Party on Friday, February 15th. The hashtag will be #freelanceweek. Reblogged this on D – Flame Within.